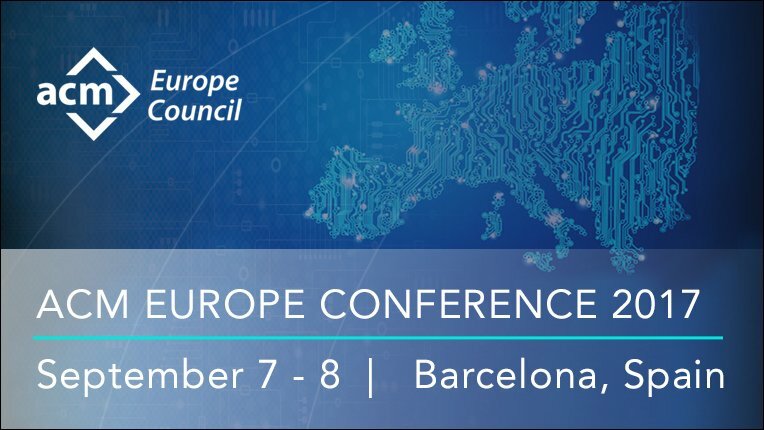 The ACM Europe Council will hold an international event from the 7th to the 8th of September in Barcelona. Hosted by the Barcelona Supercomputing Center, the ACM Europe Conference will be bringing together over 300 computer scientists from around the world. The two main themes of the conference are Cybersecurity and High Performance Computing. In the cibersecurity track, Silvio Micali, who received the Turing Award in 2012, will deliver a keynote. Micali is a computer scientist and professor at MIT and a member of National Academy of Sciences. He is best known for some of his fundamental early work on public-key cryptosystems, digital signatures and secure multiparty computation. The WomENcourage 2017 scientific event will be organized, from the 6th to the 8th of September as a parallel event and it will be aimed at networking and exploring career opportunities for women in computer science and related dispciplines. In this edition, Núria Castell Ariño, from Universitat Politècnica de Catalunya, will be one of the conference chair.